I drank a cup of my homemade cocoa with organic cow’s milk and later thought I was going to die. I guess I am lactose intolerant? I don’t have issues with milk cooked in products just drinking it, so I am not sure what is going on. I have made homemade coconut milk before and knew I needed to start making it again to replace the cow’s milk. My issue was that I didn’t want to make a cup or 2 every time I wanted some. It only keeps 3-5 days in the refrigerator and I don’t have freezer space (it will keep in the freezer up to 3 months). While trying to get to sleep last night it dawned on me that I could probably can the milk with my pressure cooker! I did some research on the internet and found almost nothing on canning coconut milk. I did find one site on canning regular milk and it said to experiment with other types of milk such as almond or coconut. OK? I filled my canner with water and put it on the stove on high heat. I washed my jars and lids in hot soapy water, rinsed and them put them in the canner. Pour mixture into bag/cloth. Let this set while you fill up the blender with coconut and hot water again. I repeated these steps until I filled all the jars. Next I put the lid on the canner and when the steam was flowing I set the timer for 10 minutes. Next I put the rocker on and waited until it reached 10 lbs. I then set the timer for 20 minutes. The instructions for canning milk was 20 minutes for pints and 25 minutes for quarts. I processed my 1/2 pints for 20 minutes just to be safe. The jars sealed almost immediately after taking the lid off the canner. The milk had also separated so I shook the jars to remix, this is normal for coconut milk. Canned milk has a shelf life of 6 months to a year. I could not find any information on how long coconut milk will keep. Store bought canned coconut milk has a shelf life of approx. 2 years. This worked out great as I only had one mess to clean and have enough milk to last a while. I will probably cook more with it now. This entry was posted in canning, coconut, Food and Drink, Posts and tagged Canning Coconut Milk, Canning homemade coconut milk, homemade coconut milk. Bookmark the permalink. Clever! I wonder how long it will last. Hope you keep us up to date. I too wondered if i could can the milk just like others have done cows milk. I recently discovered coconut milk and i am absolutely in love with it. I live in the middle of nowhere and making my own is the only economical way to continue cooking with it. I have all the canning equipment necessary and a few fresh coconuts waiting for me but i am hesitant. I’m curious to see how your milk is holding up on the shelf. So far so good. The coconut cream goes to the top so you have to mix it back in. I use it all the time in smoothies. Wonderful! Now i just have to figure out how to use all of the coconut flour i will be accumulating. Tropicaltraditions.com has TONS of recipes. What about using coconut milk in place of dairy milk in cocoa powder version of chocolate sauce- would that be pressure-cannable? Where would we go to get solid answer on that? I have been all over the internet and keep hearing different things, or they don’t connect the dots that it would be vegan, dairy free. Thanks!! As said the information is all all over th place but that is the world we live in now. It was hard to find info on canning coconut milk but I figured you can buy it canned. I believe the same is true for chocolate sauce. If all the ingredients are stable I would do it. If you are on Facebook there are lots of canning groups and you could ask if anyone has done it and what their results were. 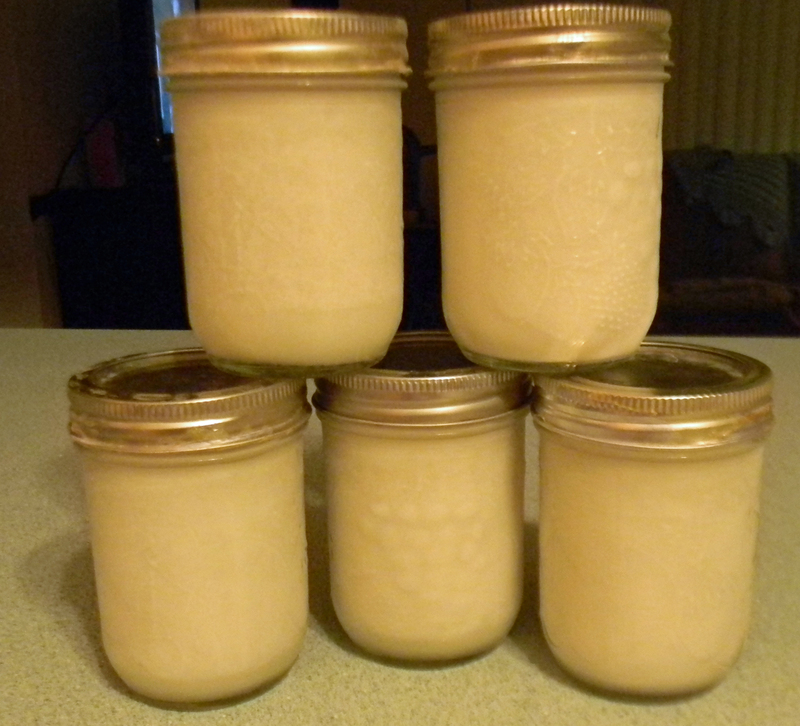 Do you need a pressure canner to can homemade milk? I don’t have one, but grew up on a farm and we canned tons of fruits, veggies, jams, etc. so I know a little bit about canning and I don’t want to have to go out and buy another kitchen item just to can my coconut milk. It sounds like I could use a normal water bath style canner though, that I’m familiar with and I know many people who could loan me one. I don’t know anyone with a pressure canner, though. I had never heard of one before this. I’d like to hear if anyone’s tried just hot-water bath canning for coconut milk.. I’m doing my first batch of coconut milk, for fridge, but also would probably want to put some up for ease & quick use..
Coconut milk is a low acid food so must be canned in a pressure cooker. If I read the article correctly I believe it was talking about “in” a recipe. Yes, low acid foods need to be canned in a pressure cooker. I was also looking into it because of all the plastic that cans are lined with. Now all I need is a pressure cooker. Hey I noticed you posted this almost two years ago… Do you have any updated information? Have you been happy with the quality of the canned coconut milk? Have you had any problems with the milk? Looking to start making my own soon and wanted more information! Thanks! It was good and I used all I canned. I have been making soaked oatmeal the past couple of months and just make as I go and store in the fridge. I have been doing so much canning I don’t have room to store anymore canned items, lol. Even under my bed is full. I told my husband the other day “if something happens to me there is lots of food under the bed”. He gave me a weird look. That. Is. Awesome. 😀 I’m just now plotting to start storing my jars under the couches! >.< But, seriously though, I can so much I'm running out of room. Thank you for the information! I've decided to can the meal calling for coconut milk without the milk. I just plan on adding it in during reheating. I appreciate your experience. Now that it’s two years later…have you pressure canned coconut milk more? I’d love to know. I read someone else’s experience with canning homemade coconut milk and she said her 20 pints got curdled and ruined in the canner. Any thoughts or tips? Thanks so much! Great article! I’m anxious to try canning homemade coconut milk! Have you tried to can almond milk yet?? Not yet. Have not made it yet. Have you heard of cashew cream/milk? I’ve been trying to figure out if that could be canned but cannot seem to find anyone that has canned it. But hoping since you can, can coconut milk (awesome BTW!!! ), that you can with cashew as well? If you can buy it that means it can be preserved. They probably process it at very high temps and add all kinds of preservatives. i hope you’re well. I see this was posted back in 2013, but do you perhaps remember what the shelflife of this was? I don’t really know as I use mine pretty quick, within a couple of weeks. I have never been able to find any info. I know companies can coconut milk but it has other items in them. I know it’s been some time since this thread was ‘active’, but just in case – I have to reach out and let your followers know that there is a distinct difference between a pressure canner and a pressure cooker. I don’t want to be the canning police – your kitchen, your rules, but please be aware that a pressure cooker heats and cools too quickly and doesn’t maintain consistent pressure long enough to make your product that you’ve put your heart and soul (and sweat and sometimes tears) into safe for your family. I know that a pressure canner can be prohibitively expensive – try considering a “co-op”. You and 2-3 of your friends can all chip in, and share it! Chances are good that unless you are home canning due to health reasons or dietary restrictions, it’s not going to be a go-to appliance for you, and you’ll use it occasionally, and then pack it away. Share the love! And the recipes! Thank you this post is very helpful! Just to be clear you canned the coconut milk, left it unrefrigerated, then used it and it all went according to plan, correct? I live in the Florida keys and can’t possibly use all the milk I make when making coconut oil, so this is so great!! Yes I left it out until I opened it. I used it all up pretty quickly though. There is nothing from the FDA on canning coconut milk so use at your own discretion.